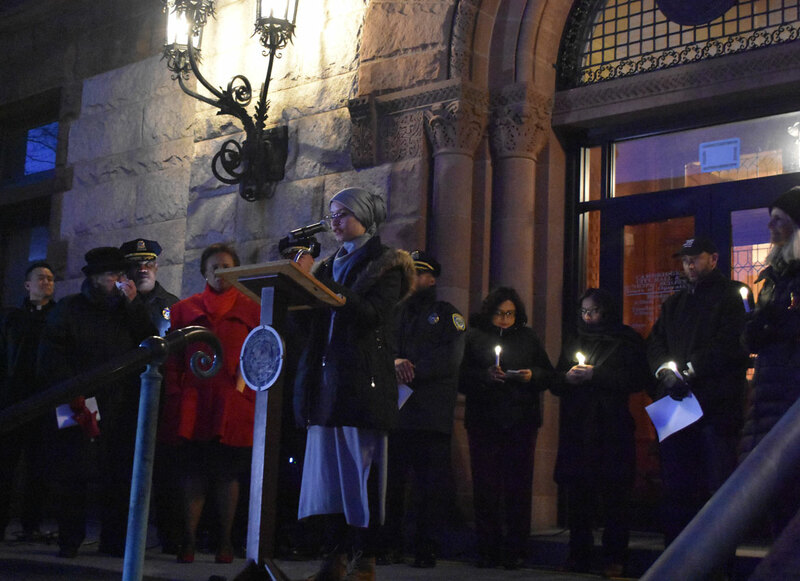 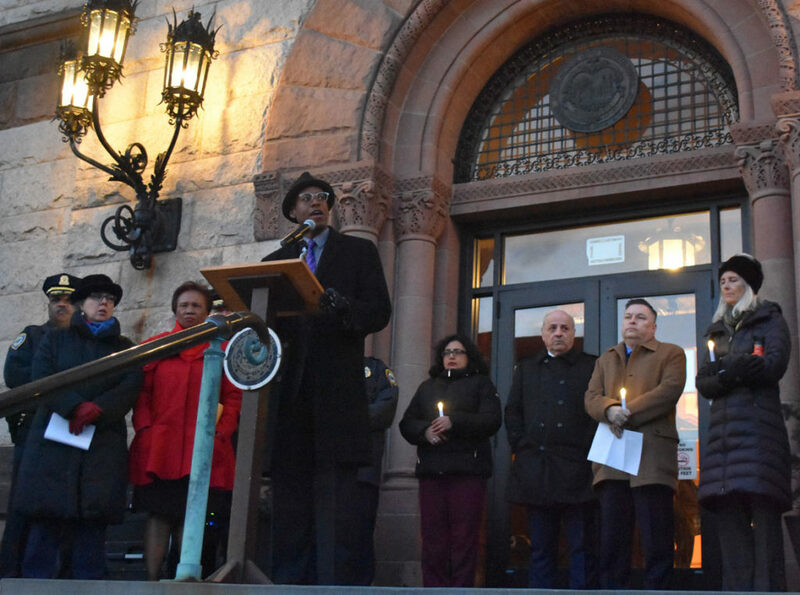 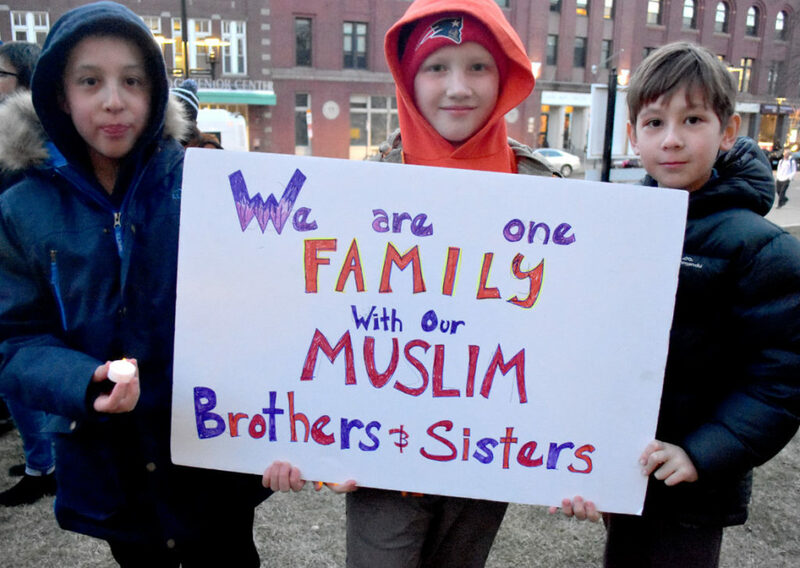 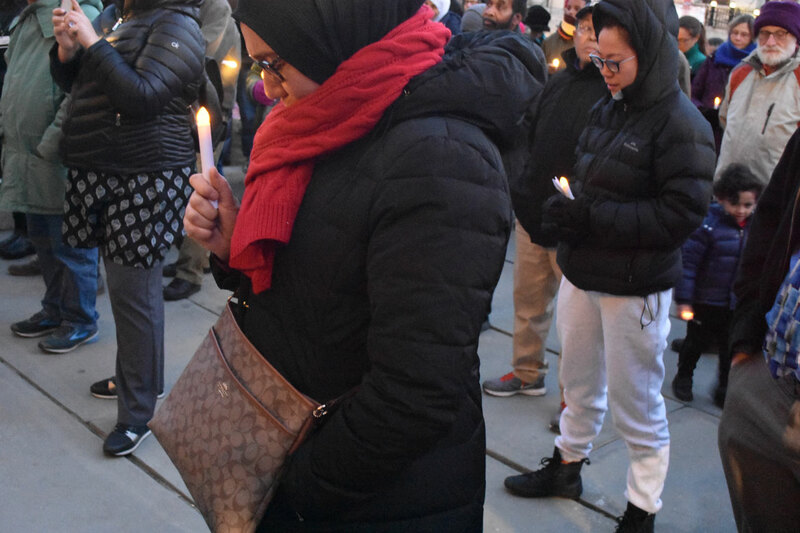 “We will not rest until everyone is safe,” Cambridge Mayor Marc McGovern said. 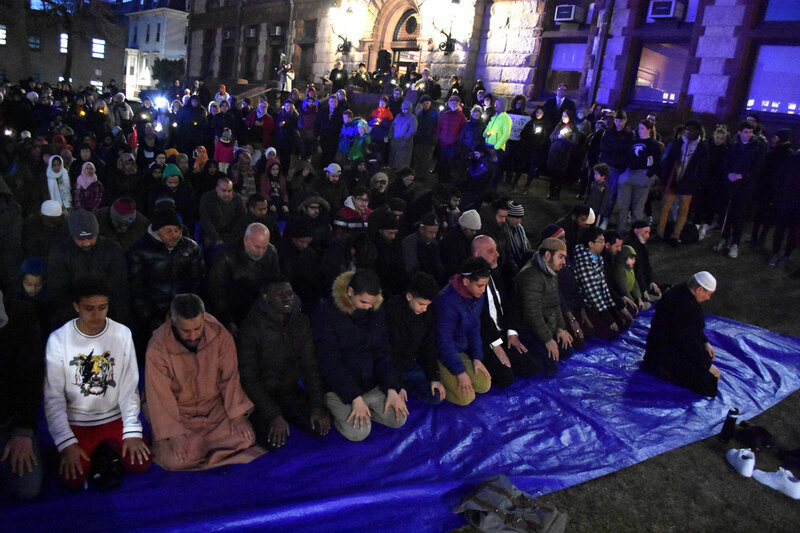 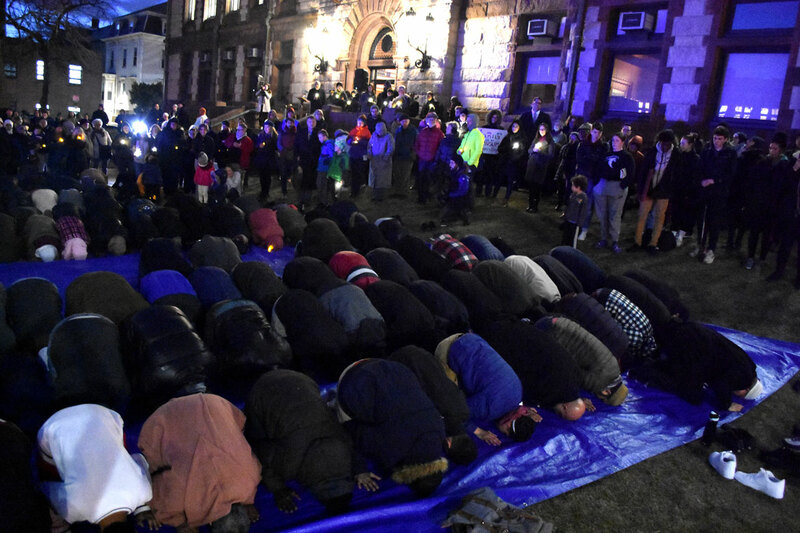 On the lawn in front of City Hall, Imam Ismail Fenni of Islamic Society of Boston lead men and women in Maghrib (evening) prayer. 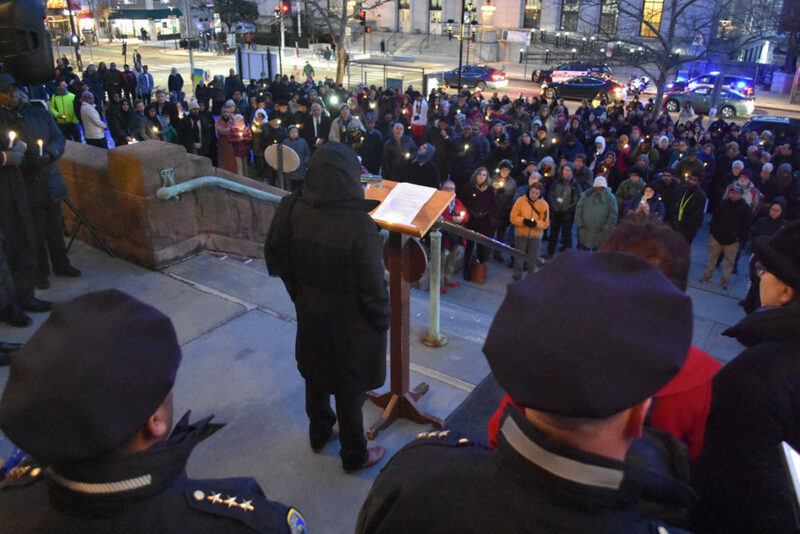 More speeches followed.